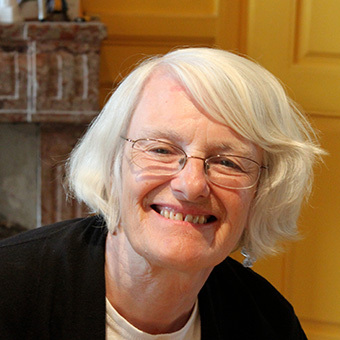 Frances (Frinde) Maher is a former high school teacher and Professor Emerita of Education at Wheaton College. She is the co-author, with Mary Kay Tetreault, of The Feminist Classroom, (1994 and 2001) which through case studies of 17 feminist college professors articulated themes of feminist pedagogical theory and practice. She has written numerous articles on feminist pedagogy and feminist educational theory, including feminist analyses of the philosophies of John Dewey and Paulo Freire, and on the operations of white privilege in classroom discourses. Recently Maher and Tetreault have published Privilege and Diversity in the Academy, an institutional ethnography that examines faculty diversity in higher education settings. Through case studies of forty years of diversity efforts at Stanford University, the University of Michigan, and the University of Rutgers-Newark, the authors articulate the stages of the journey towards the full inclusion of women and people of color in departmental and interdisciplinary faculties, in scholarship, and in all aspects of university life. Frinde is also a member of the Editorial Board of Radical Teacher magazine, where she serves as co-manuscript editor, and is Cochair of the Board of Directors of the Boston Women’s Fund. First, I will be writing articles based on my recent book, Privilege and Diversity in the Academy, which is about the forty year process by which women and people of color have joined the faculty at three major universities. Second, I will begin a project on elite women’s relationships to the feminist movement over time, based on historical sources, interviews and/or memoir. Maher, Frances and Mary Kay Tetreault. Privilege and Diversity in the Academy. New York: Routledge and Falmer, 2007. Maher, Frances and Mary Kay Tetreault. “Long Term Transformations: Excavating Privilege and Diversity in the Academy.” Gender and Education, Spring 2011.